We started in Paris (4 nights) and rented a car and drove through Burgundy (2 nights at B&B in Pulingy Montrachet near Beaune), the Rhone Valley (2 nights at B&B in Avignon) and Monaco (2 nights). 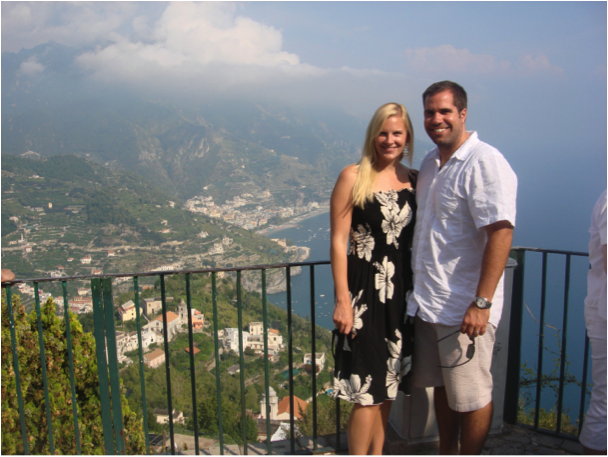 We dropped the car in Nice, flew to Naples and stayed 5 nights in Sorrento on the Amalfi coast. After that we took trains to Rome (3 nights) and Florence (3 nights). 3 weeks (but don’t remind our bosses). We were married on a Saturday and flew out on the next Wednesday to be able to enjoy all the friends/family in town, rest up, and get cheaper flights. Highly advisable to take a few days after the wedding. We wanted to take advantage of the excuse we had to take 3 weeks off of work and tour some parts of Europe that we hadn’t experienced. We live by the beach and knew that we wouldn’t be able to sit still on a beach for more than 2 days. 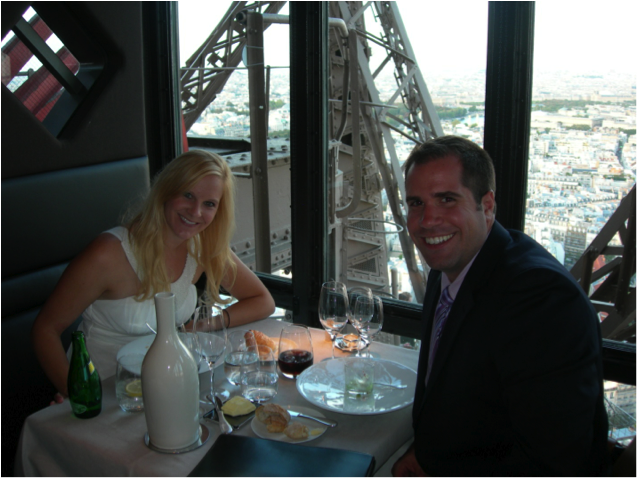 While going to Paris is cliché, it certainly did not disappoint and was just as romantic as people say. 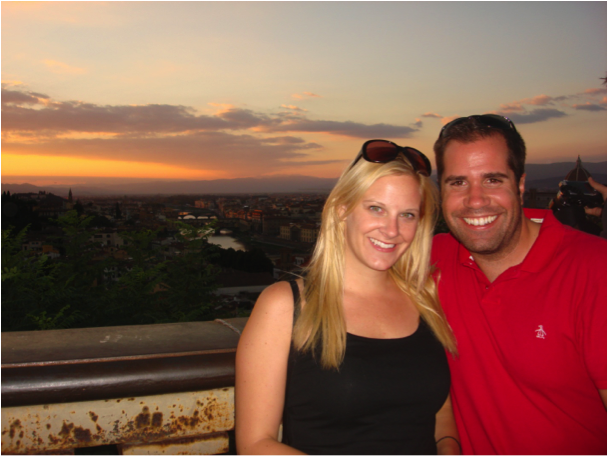 As for Italy, we can’t wait to go back. Seriously not even sure where to start. How about a top 10? 10. 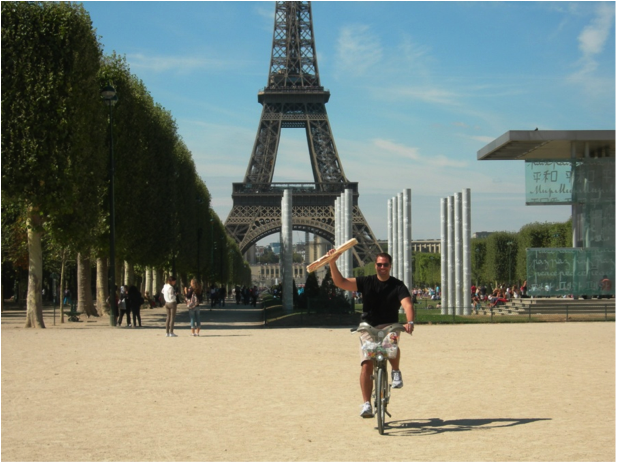 Renting city bikes in Paris and using them to bike all around the city. Sign up on their website and pay about $2/day. Bike depots all over the city allow you to park. Great way to see the city, save money, and get a little exercise. 9. 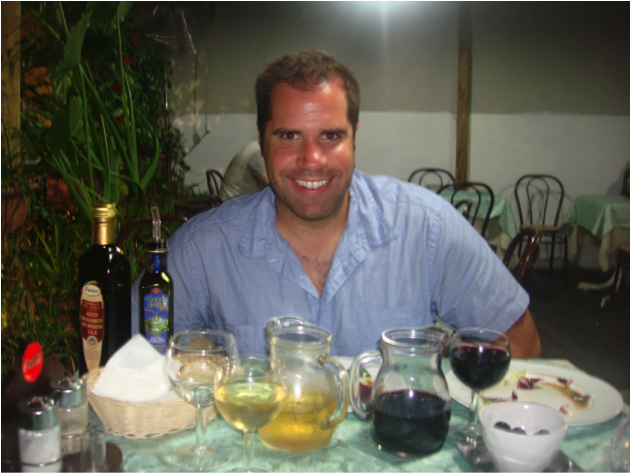 Hiring a driver in Sorrento to take us around the Amalfi peninsula and an amazing meal at Ristorante La Tagliata in Positano. 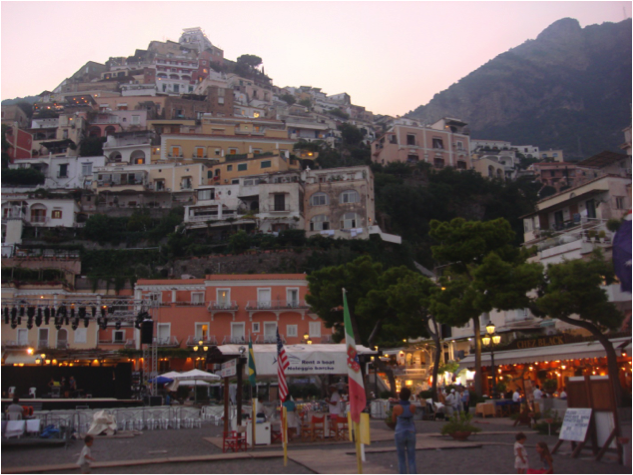 If we ever make it back to this area, we will stay in Positano. 8. Running after the tour bus as it pulled away nearly leaving us in Sienna. Since when do Italians run on schedule? 2. Somehow partaking in “Fashion Night” in both Rome and Florence where the shops stay open late, have live music, complimentary cocktails/champagne/appetizers. I would not try to drive in Monaco. Our GPS didn’t work well, the streets were crowded and had lots of one-ways and strange turns. On second thought, I’d skip Monaco (or only spend 1 night there). Also, have some extra room in our suitcases to buy some wine and clothes to bring back. We did a massive amount of planning in advance. 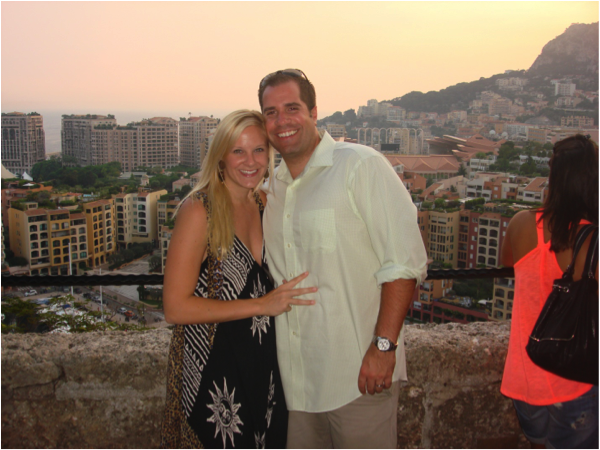 Most of the time was spent figuring out an itinerary we wanted that was cost-effective, and making tough choices on where to go and how long to stay since there are so many options. Once we had a general idea we used TripAdvisor to book many of the hotels/B&Bs. We also planned out some general activities for some days, leaving others open for whatever comes. We looked up local websites to find out attractions, special events, transport options, etc. The tasting menu dinner at Jules Verne, which is on the second deck of the Eiffel Tower. I lost track of how many courses, but was about 8 and each came with wine pairing (hence forgetting). We arrived early (7pm) to enjoy the view during the daylight, see the sunset, and then see the cityscape at night. I think we clocked in at 4 hours for the meal and it was truly an epicurean dream. If you’re looking to do this, you can book reservations on their website 2 months in advance (I set a calendar reminder) and can request a window seat (make sure to say you’re celebrating an anniversary or something). Try to get the window facing west to view the sunset. There’s also a stairway down to the 2nd level observation deck so that you can get outside if you choose to (“free” of charge). It’s a great way to avoid the lines/cost of going up in the tower. Also, it’s typical in Europe that the whole table must do the tasting menu or no one can. Also, it’s advisable to adhere to the dress code (jacket/tie for men, nice dress for women). We’re already planning a trip to Ireland, Scotland and London in September. Hoping to hang out with Will, Kate and the new baby. And one more photo for good measure. 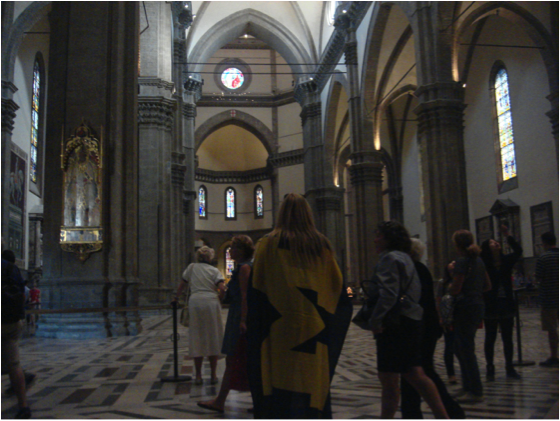 When visiting the Basilica di Santa Maria del Fiore in Florence, Sarah needed to cover her bare shoulders with something, and the only thing she had with her was this Michigan flag. Wherever you go, Go Blue! We were there at the end of August and didn’t have a problem with heat or crowds. 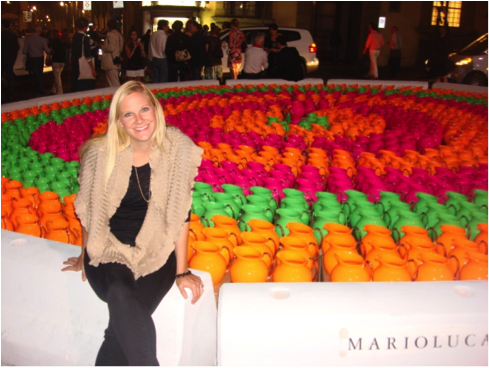 I actually wore long skinny jeans for a majority of Paris and Rome. Southern Italy was much warmer but I was ok in light sundresses. I don’t remember any issue with crowds and never thought of them as a problem when we were there. My husband said the lines were way shorter than when he was there before. We got into the louvre in like 15 mins during the middle of the day (which i guess is really short) and same with a lot of other key places. One thing to note of importance about going in August is that a lot of places (restaurants/local shops etc.) close for summer break (so Parisians are all gone). When we got there things were just opening back up. I think it was about to get really busy in September. Hope that helps!